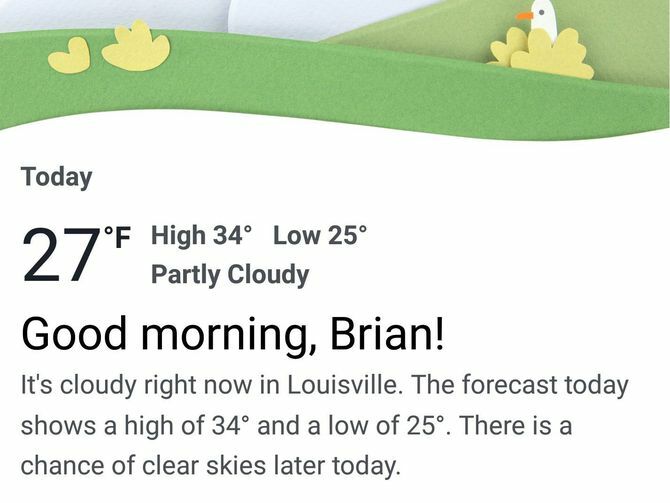 If there's one thing you can more or less guarantee has made a clean leap into the mobile world, it's the weather forecast. You'd be hard pressed to find someone who doesn't primarily check the weather on their phone, it's just the most convenient way of doing it now. Which weather app you use entirely depends on accuracy. Here in the UK, the Met Office app tends to be considered the best option, but now Facebook have thrown a spanner in the works. In a recent update, a weather forecast feature was added to both the desktop and mobile platforms. On desktop, you get it through the news feed, while on mobile, it's nestled in the 'More' menu. The data it uses comes from Weather.com, and their Weather Channel App tends to be one of the more popular meteorological options, particularly in the US. Along with the standalone function, it looks like the top of the News Feed will soon start telling you what the weather's doing, so don't be surprised if you start to see a fresh influx of 'ugh, rain again' status updates in the not too distant future. That feature is technically already active, but it doesn't crop up all that often, it will do soon. Beyond this, you'll be able to set notifications for weather reports, so if you've got somewhere to be, or you're planning an activity which could be stymied by adverse conditions, Facebook has your back. Obviously it will track your current location as standard, but you'll be able to get updates for as many locations as you damn well please. The graphics and headings all fall into line with the twee, saccharine motif that Facebook are so very fond of at the moment, but it's an attractive interface regardless. The feature should be more or less universally available by the end of the month.